I have most definitely found my favourite luxury brand, Anastasia Beverly Hills. I have become so obsessed with their instagram account, all the makeup is flawless. So I decided I wanted three of their cult products so I could create a whole look. 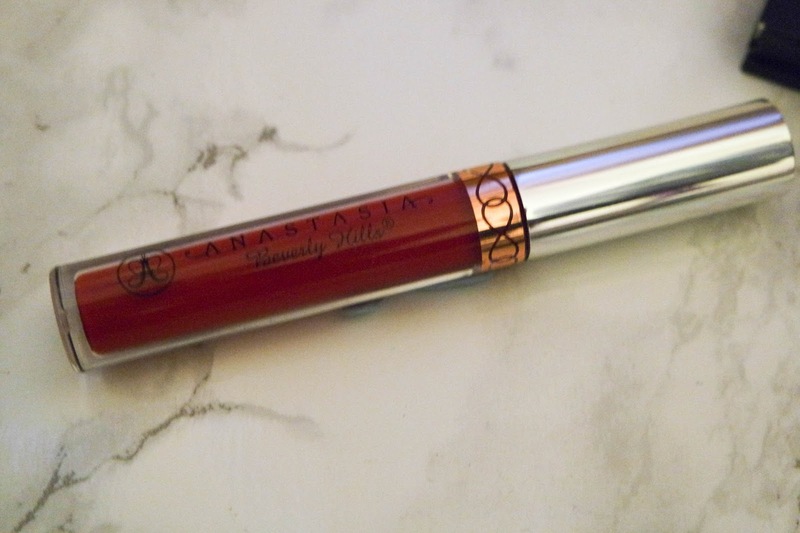 Bloodline: This was the product that made me crave more from Anastasia Beverly Hills. Her ‘liquid lipsticks’ are highly sought after and I can see why! It goes on wet and dries matte. It’s brilliant and the colour is so rich, a gorgeous red. I’m saving it for date nights and nights out. I do love how easy it is to use as I am a complete novice at applying it. The liquid formula allows you to sweep back over before it dries and to create smooth lines. Once it dries, I’ve found it to last for a whole evening with only light touch ups on balm over the top or the colour itself needed. The first time I wore this out I wore it for about 8 hours and it wasn’t heavy on the lips or cracking and I barely noticed I was wearing it until people would ask me about it. It is a very vivid, bold red and I’ve found it to work best with large curls or wavy hair and a very vampy makeup look! I opted for Brow Wiz in ‘Soft Brown’. My eyebrows have always been untameable! 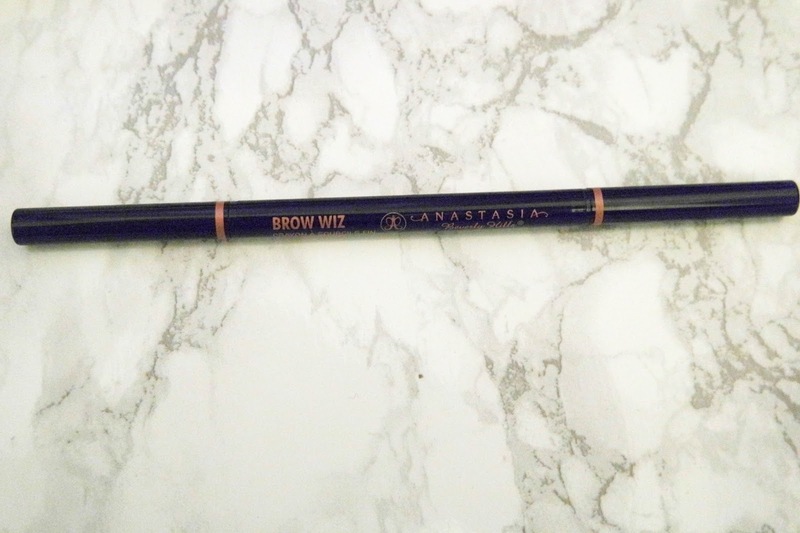 I’ve used this almost everyday since I got it and I’ve found it to be perfect for a quick fix for my brows. The fine point of the pencil end allows for tiny strokes that allowed me to reshape my brows. It’s so easy to shape my brows using the brush end and I can brush the pencil strokes evenly throughout and it creates a nice even colour throughout my brows! My only issue is a personal fault: I think I chose a colour that is possibly too light for my brows, but I am going to go a colour darker when I repurchase! It has been my favourite purchase out of the three as it works so well on a daily basis and i’m no longer embarrassed by my eyebrows! 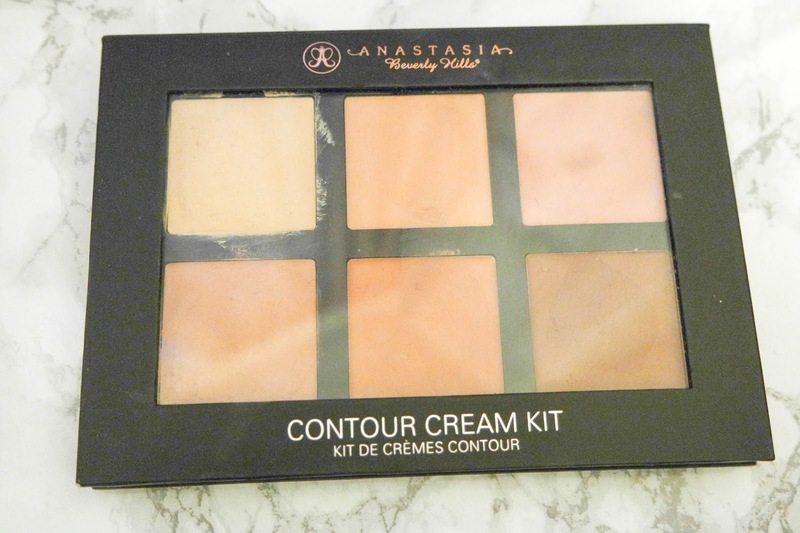 The Contour Palette was exciting to recieve! Perfect for those with some colour in their skin or me maybe after a holiday but not for everyday use as I’m just too pale. I can use only about two of the pans at the moment so I’m saving it for when I go away! 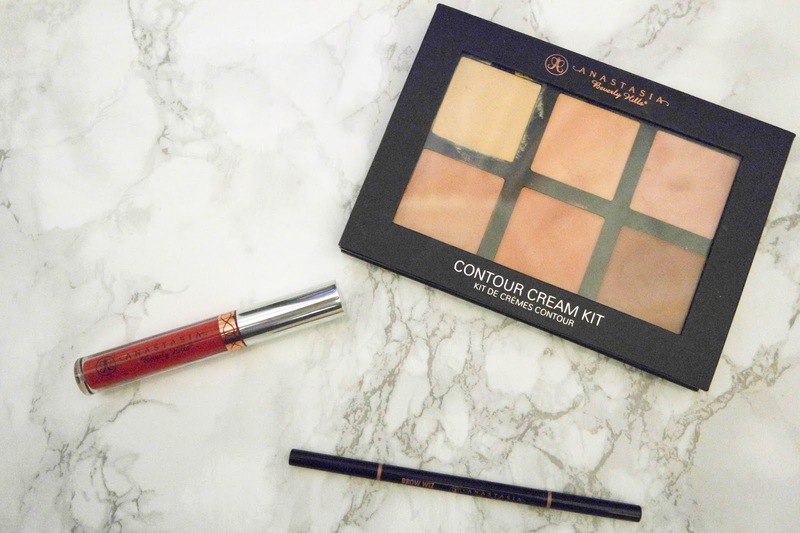 Have a look at a few of my favourite Anastasia Beverly Hills products below!